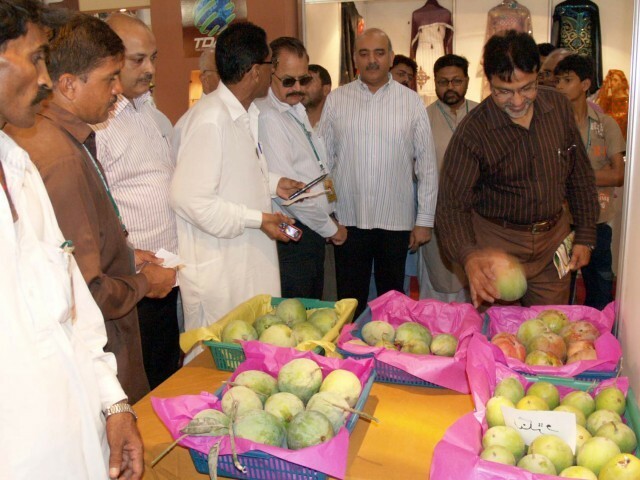 Over 25 variet­ies of mangoe­s up on displa­y. Over 25 different varieties of mangoes — even of all shapes and sizes — were displayed at the three-day mango festival at the Expo Centre to promote the fruit’s international trade. But only a few direct export orders were placed to the farmers. 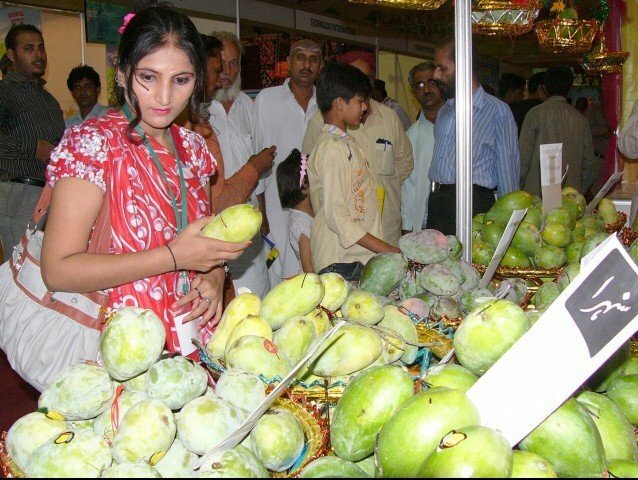 As many as 15 stalls of mango farms from Tando Allahyar, Nawabshah, Mirpurkhas, Hyderabad, Sanghar, Matiari and Tando Muhammad Khan districts are set up at the exhibition organised by the Hyderabad Chamber of Commerce and Industry (HCCI) and the Trade Development Authority of Pakistan (TDAP). Munir Ahmed Nizamani became the first among the fortunate farmers to be given an export order at the festival. Nizamani, who expects to earn Rs450,000 from this deal every day, told The Express Tribune that an exporter from Karachi has ordered a consignment of 250 maunds every day. Nizamani’s farm is located in Nawabshah and it is the first time that he will be exporting mangoes. 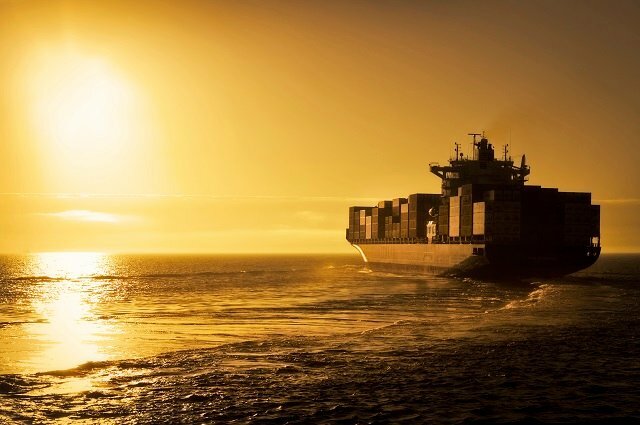 Although the exporter has offered him the same rate which he gets from the local market, he is happy with the deal – for lucrative reasons of course. “Local buyers pay us between Rs35 to Rs40 per kilogramme. To the exporter, we will sell the mangoes at Rs37.5 per kg, but we will earn more as our packaging and transport costs will decrease,” he explained. “It is an export-oriented festival, unlike the ones that take place in Mirpurkhas, which are purely for family entertainment. 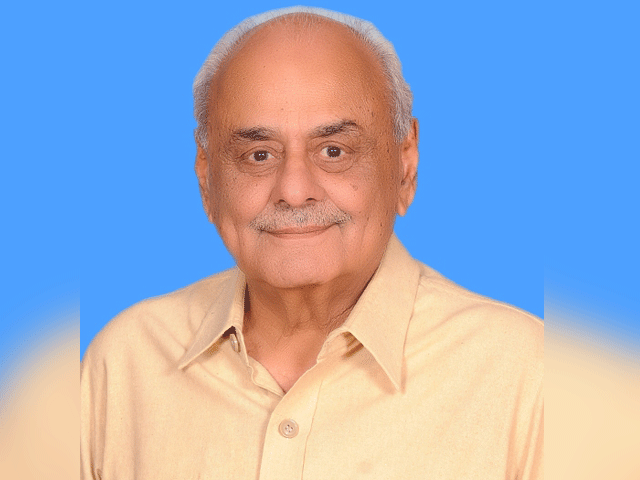 We only selected farms that fulfilled the criteria for export,” said Dr M Fareed Qasim, the HCCI trade and exhibition committee chairman. TDAP director Kareem Daudpoto said his organisation was focusing more on US and Japanese markets this year. “The Vapour Heat Treatment plant was a stumbling block due to which a Japanese ban on mango import from Pakistan continued for 16 years.” The test shipments for promotional purpose will begin from this July. Saleem Ranjhani of Firms, a USAID project helping Pakistan to increase exports, advised the farmers and exporters to follow the requirements of hygiene, processing, grading, packaging and marketing to get access to US and European markets. He pointed out that the average per acre yield of mango orchards in Pakistan is around three to six tons which can be increased to seven to eight by adopting better farm management. The festival will be open daily from 5 pm to 11 pm until June 25 (today). Published in The Express Tribune, June 25th, 2011. The event would be arranged in collaboration with TDAP and the Sindh Agriculture Department. shame on them as they could not buy vapor heat treatment plant for 16 years. shame on our exporter. is this the way of doing business? stupid talk show should spend some time on economy,education, health, clean water & pollution. I live in UAE where every year in May – June we see “Mangoes Festival of India” in which dozens of varieties of mangoes are marketed in the malls of Dubai and other cities. They are priced, usually, between 10 to 25 UAE dirhams per Kilogram. The mangoes look well processes, spotless, firm and clean. So they sell. As long as we in South Asia keep quarrelling, squabling, claiming Kashmir, building up our armies, we will keep wringing our hands. Pakistan and India need each other, and the only way forward is peace and forgiveness. The current administration, by that I mean the Army that controls your state must be muzzled. The younger generation of Pakistanis, can and should protest and form parties that can contest in the next elections. The last Indo_Pak war is some thirty years past. It is up to the younger generation to have a “Mango uprising’ to take a leaf out of the Jasmine revolution. Get on with it. We in India have our God men and Hazare’s to shake up our goverment and the private sector is booing. This can only benefit India’s neighbors. Send the army back to its barracks, downsize the military, get an accountable Govt or elect/form one and strenthen your democratic system. Most Indians want to move on and see Pakistan as a friendly neighbor. Better relations can only help that cotton/onion/wheat or mango farmer in Pakistan and we have things to sell. Constant friction only keeps the military budgets on both sides robust. Who benefits. Not India and certainly not Pakistan. The military Industrial complexes in the US, Europe and China. Good Luck and God Bless us all. Can we not dream of a greater united states of India, Pakistan and Bangladesh. This can cause a lot of angst in Beijing, DC and EU capitals.